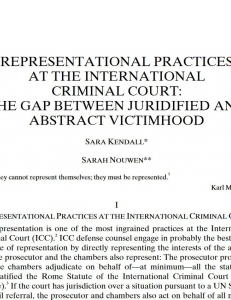 Dr Sarah Nouwen is a Senior Lecturer in Law and a Co-Deputy Director of the Lauterpacht Centre for International Law at the University of Cambridge and a Fellow of Pembroke College, Cambridge, United Kingdom. 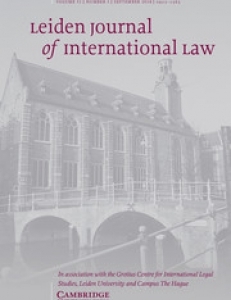 Trained in both international law and international relations, Dr Sarah Nouwen works on the intersections of law and politics, war and peace and justice and the rule of law. Building on her experience in diplomacy and peace negotiations, her research focuses on how international law plays out in concrete situations, combining doctrinal analysis and theory with empirical research and drawing on law, politics, and anthropology. Her current research programme ‘Peacemaking: What's Law Got to Do with It’ explores the role of international law in peace negotiations and forms the background to the course on transitional justice and peace negotiations she teaches in the Master of Advanced Studies in Transitional Justice, Human Rights and the Rule of Law at the Geneva Academy. 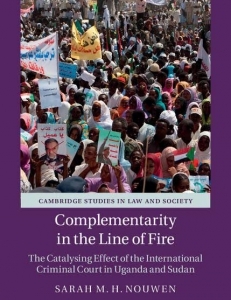 Her book Complementarity in the Line of Fire: The Catalysing Effect of the International Criminal Court in Uganda and Sudan explores whether, how and why the complementarity principle in the Rome Statute of the International Criminal Court has had a catalysing effect on the legal systems of Uganda and Sudan. She spent many months in both countries, interviewing officials, observing proceedings and searching documents to discover whether domestic legal reforms have taken place in response to the Court’s involvement. 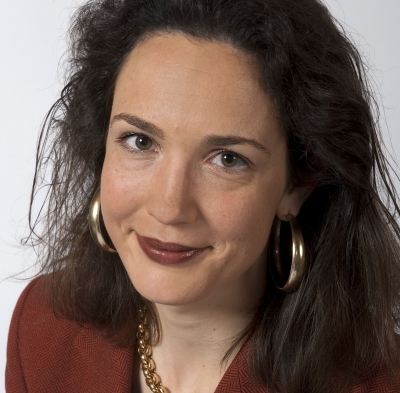 Dr Sarah Nouwen was a Visiting Professor at the Graduate Institute of International and Development Studies, a Senior Fellow of the World Peace Foundation at the Fletcher School of Law and Diplomacy, a Visiting Scholar at the Free University Amsterdam and a Research Associate of the Refugee Law Project, Makerere University, Kampala. She has advised on transitional justice, peace negotiations and the rule of law for the Netherlands Ministry of Foreign Affairs in New York, The Hague and Sudan and for the United Kingdom Department for International Development in Darfur. 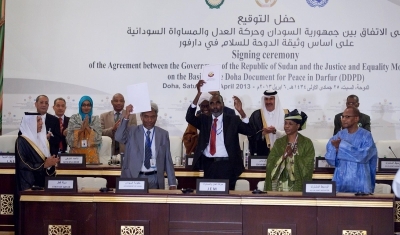 In 2010-2011, she served as Legal Advisor to the African Union High-Level Implementation Panel for Sudan, assisting in the negotiations between the Government of Sudan and the Government of Southern Sudan on issues of state succession and working on peace negotiations for Darfur.  This course addresses transitional justice in the context of peace negotiations in civil wars. 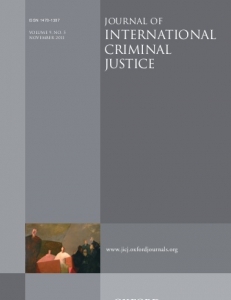 Adopting a variety of disciplinary angles, the course explores (putative) international norms on addressing transitional justice in the context of peace negotiations and the different ways in which peace negotiations have dealt with transitional justice issues.